Talk about a makeover. Our Facebook reporting is brand spakin’ new and you’re going to fall in love! Socialdraft reports are graph based to make it easy for you to analyze fan growth and loss. 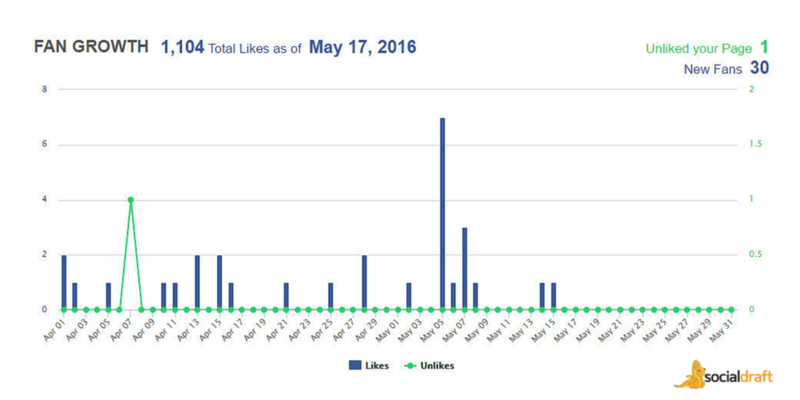 This graph will make it easy for you to hit up Facebook analytics, check out where there were spikes in gains and losses so you can replicate or avoid creating certain types of content. It’s also very nice because you can see if your growth is steady, or if it comes in spurts. 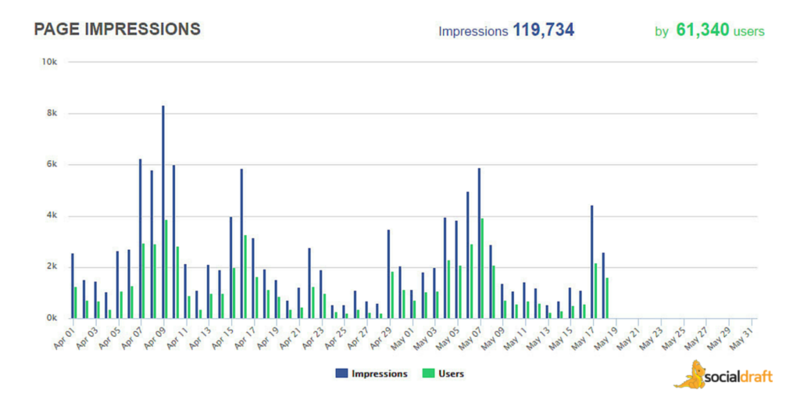 Socialdraft’s Facebook reports also give you an easy to understand break down of your Facebook page impressions. Facebook page impressions are the number of times a post from your business page is displayed (not if the post is clicked). 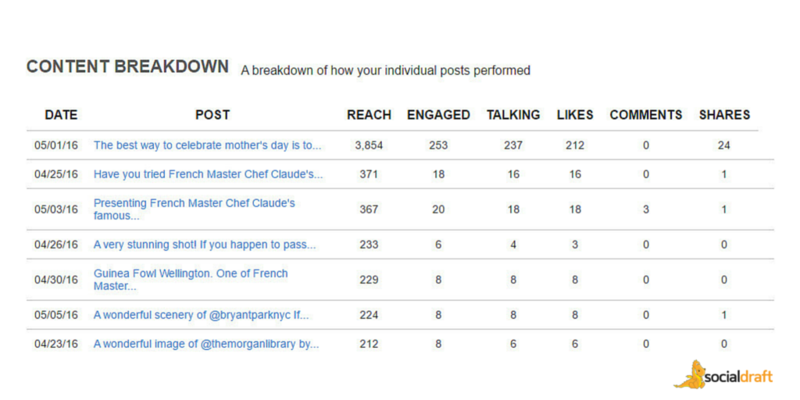 A single person can see the same post twice, and therefore see multiple impressions of it. For example, they may see it in their News Feed, and then on the page of a friend who shared the post. Socialdraft’s reports let you easily visualize your Facebook Impressions, see when you have spiked and see the type of impressions (so you can analyze which type of content is performing better). 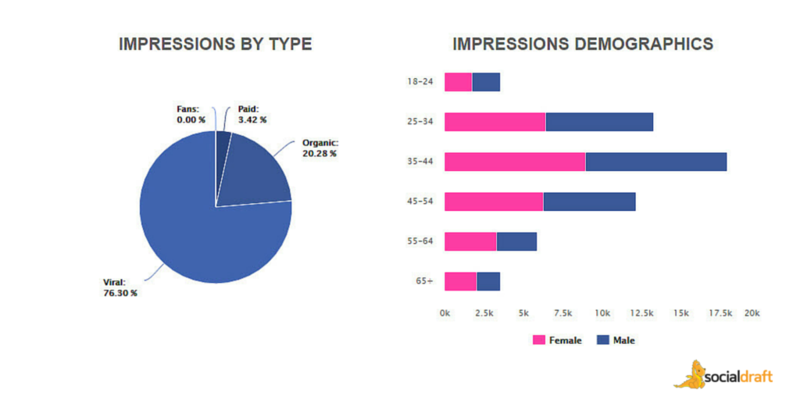 You can also see your demographics on Impressions by age and gender so you can better cater to your audience. 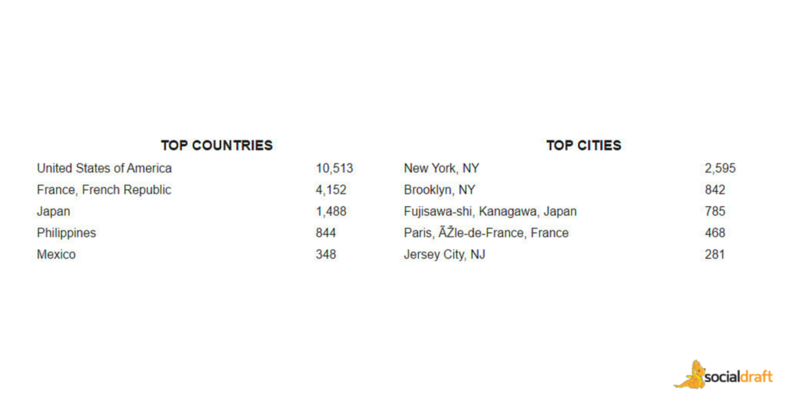 Socialdraft Facebook reports also show you the countries and cities where your fan base is located. This is incredibly important, especially for local businesses. Facebook page stories are updates from your social circle about how they engage with pages. These stories appear on your feed. 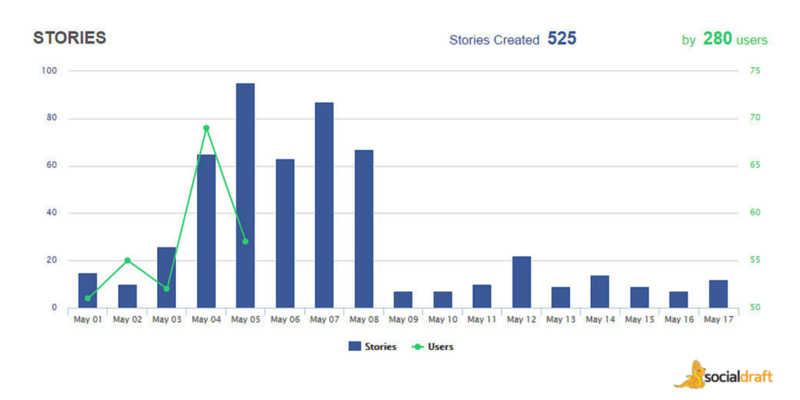 Socialdraft’s Facebook reports let you easily visualize how many stories were created daily by how many users. 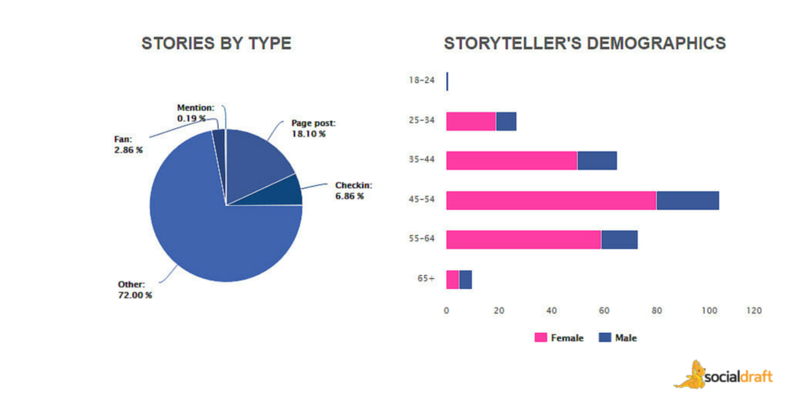 Socialdraft’s Facebook reports also show you how your fan’s stories are by type, as well as the demographics (age and gender) that is creating these stories including check-ins, mentions, and page posts. Our brand new reports also show you your content, sorted from best to worst along with information including reach, engagement, talking, likes, comments, and shares.